Looking after the vast grounds at one of the country's foremost independent schools for girls is a truly challenging task. Neville Johnson went there to meet the man on the spot charged with the job of keeping presentation in top order, everywhere. Kentish Wealden countryside is the setting for this boarding school for girls, founded back in 1923. It has over 500 pupils between 11 and 18, and perhaps its most famous alumni is HRH, the Princess Royal. 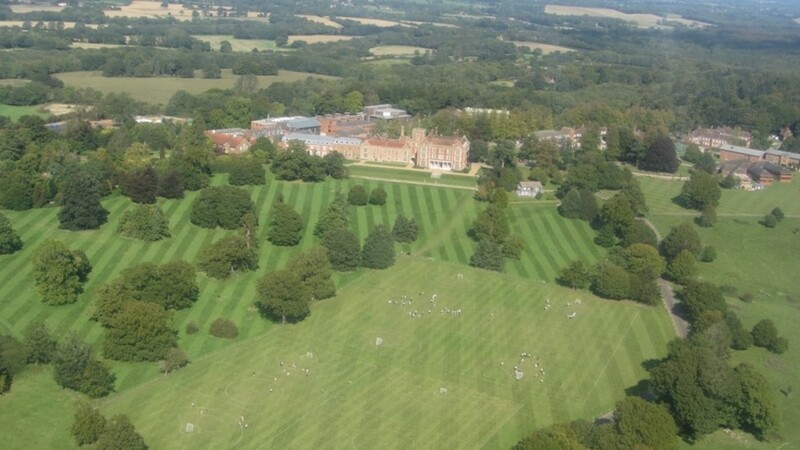 Its close on 300-acre grounds of woodland, parkland, sports fields and gardens are known as Hemsted Park which, to put into historical perspective, is recorded as being gifted to Odo, Earl of Kent, by his half brother William the Conqueror. Odo's claim to fame is that he is probably the man who commissioned the Bayeux Tapestry. 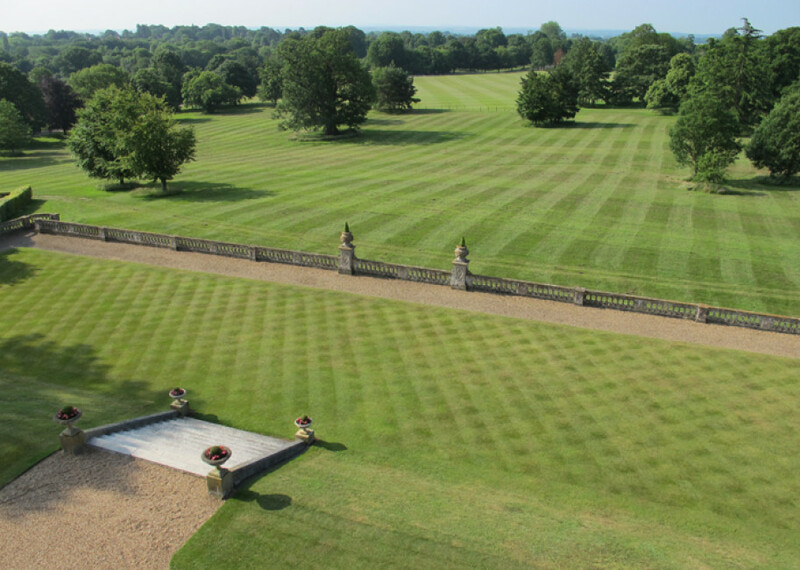 Looking at an aerial shot of the grounds a thousand years on they are a tapestry of countryside excellence - a perfect mixture of natural and formal. The man responsible for keeping it so is Head of Grounds and Gardens, Lee Keeler. It's outside the school's focal point, a listed Victorian mansion once-owned just before the First World War by newspaper magnate Harold Harmsworth, later Lord Rothermere, where he introduces himself. 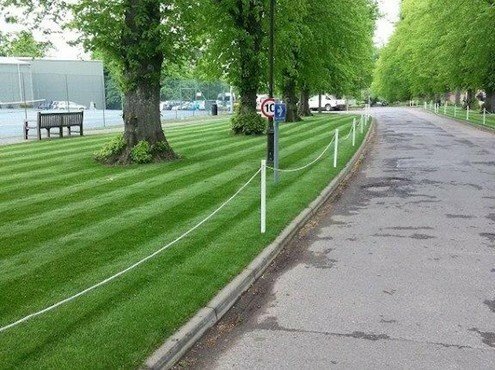 We make our way to the groundcare HQ, walking along Lime Avenue, which, as its name suggests, is bounded on each side by tall, stately lime trees. "These had, until recently, stood in dull and often mudded surroundings," he told me. "Transforming this into raised borders and lawns was a project that we recently conducted for the school, and we're very proud of what we achieved." Lee began his working life as an agricultural engineer, which these days stands him in good stead occasionally when there's a machine glitch. He then did a spell as a greenkeeper at Dale Hill Golf Club at Wadhurst in East Sussex. It was here about twenty years ago that, in his words, he fell in love with the science of groundcare. 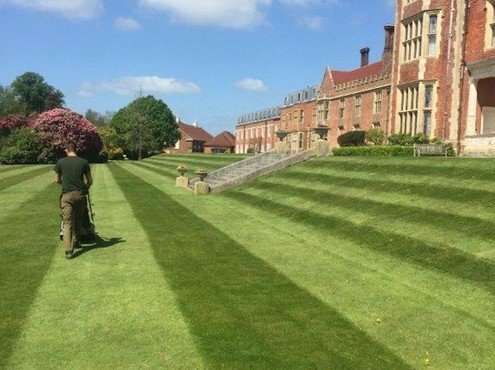 An opportunity to join the grounds team at Kent's Ashford School, an independent co-educational establishment, came his way and he then spent fourteen happy years there, the last six as Head of Grounds. Four years ago however, a position was advertised at Benenden and it very much appealed to him. His application was successful and he took up the appointment as its Head of Grounds and Gardens. It was his experience of both soft and hard landscaping in a school environment that got him the job. He's just as likely to be snow clearing the Benenden roadways as preparing pitches for play. 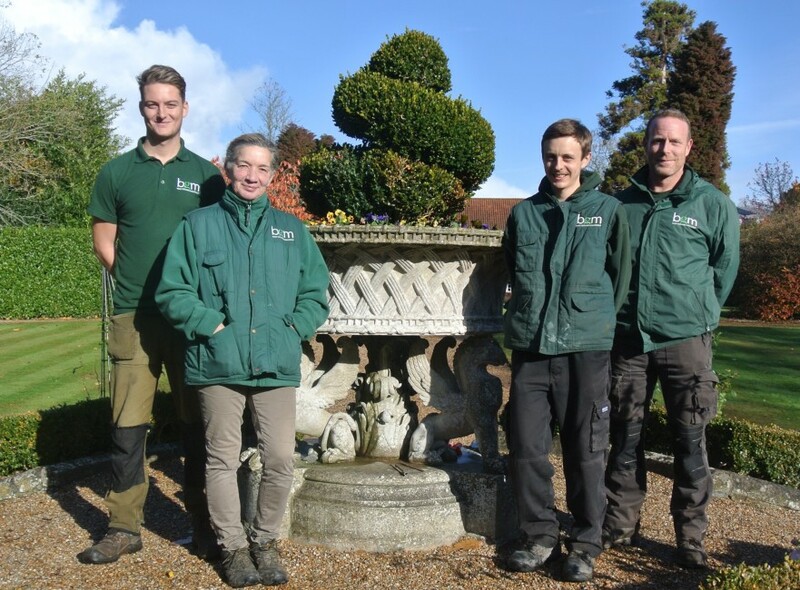 Lee has a team of three working for him: Billy Blackford, Michael Tompsett, and Beverley Mortley, who is specifically responsible for the horticultural side of groundcare. 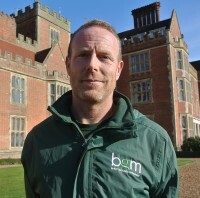 Lee takes his working brief from the school's Estates Bursar Fred Davies, and they meet fortnightly to discuss all matters that relate to grounds upkeep. He says he has an excellent working relationship with the school's sports staff too. Lacrosse is, by a long way, the school's main winter sport, and it excels at it. It has always been a key part of the non-academic curriculum here. The sport of lacrosse is bigger across the Atlantic than it is here and, in Canada, it is the official summer sport. It was first introduced in England back in 1876 and has since then been a winter game on grass predominantly. Actually, there are a number of different versions of the sport. For men, field lacrosse and the indoor box lacrosse are body contact games, whereas, the women's 12-a-side game, and what is played at Benenden, is a non-contact game. There are six grass pitches in all to cater for the school's eighteen lacrosse teams, many of whom compete in the National Schools Tournament. Over the years, Benenden teams across all the age groups have won many national trophies and are frequently crowned Kent County Champions. In 2017, its first team were National Schools Champions. Many a pupil has gone on to achieve international representation. Head of lacrosse at the school is Catherine Gaunt, who was England goalkeeper for ten years. The sport is taken very seriously here. Lee says that all of the lacrosse pitches drain well naturally, even though the land is clay-based. He and his team do regular slitting and aeration to minimise adverse surface effects of exceptional over winter rainfall. "Normally, during the lacrosse season, rotation of pitches is necessary to cater for fixture pressure and wet conditions, but for once this is not so," said Lee. "This year, and we're already deep into winter weeks, surfaces have held up better than they usually do; I reckon because of the exceptionally dry summer we had. In fact, playing conditions haven't been better." "The place might have looked less than verdant during the summer holidays, but strangely we're benefitting now." Lee has pretty much all the equipment he is likely to need on site, and very rarely has to call in other resources. As far as cutting for lacrosse play, he says it's usually down to 12mm and he has a number of ride-on options to cover this regular job. 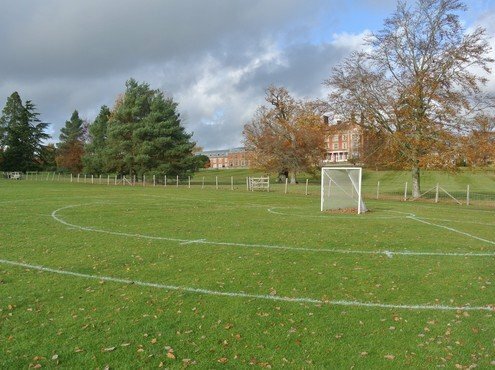 Presentation for appearance is important for Benenden's lacrosse pitches, but even more so for the extensive lawn surrounds of the teaching and administration areas that, striped, look impressive, even on a far from bright late November day. It plays a big part in the way the school has to look at all times. Lee had had no previous experience of lacrosse pitch care. How did he manage with the pitch markings: the 12-metre arc, the 8-metre fan with its hash marks, and the crease around each goal? "Once you have the geometry right, it's very straightforward. The markings are a very important part of the game, perhaps more so than other field games. It's essential to have them just right, he said." A new all-weather pitch and 320-seat stand and pavilion were added to the school's sports facilities a couple of years ago. These were officially opened by television personality Davina McCall in September 2016. 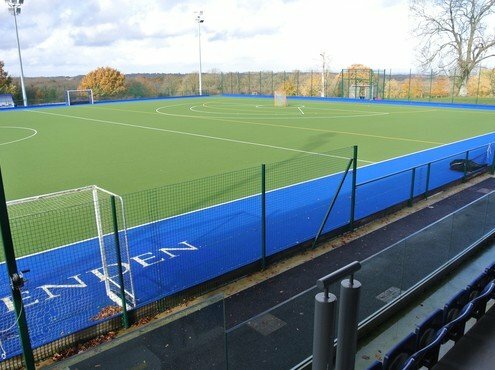 Lacrosse is still very much a grass game, but it was after their first season of extended training time on this new pitch that Benenden's 1st lacrosse team won the National Schools Championship. It's now part of Lee's remit too, though he's happy to admit that it's a machine-based job rather than a science-based one. Cricket is a distinct possibility in the future at Benenden, but as yet there is no square. It's a prospect Lee looks forward to, since he has experience of working on cricket pitches from his time at Ashford School. The Benenden grounds were badly affected by the so-called hurricane of October 1987 when apparently about 250 trees were lost. It is still an impressive mixed landscape of trees and open parkland as you drive into the grounds and, as autumn blends into winter, a huge priority for Lee and his team is leaf clearing, just about everywhere. Composting bays made out of railway sleepers see that the tonnes that are gathered up are re-used by feeding back into the gardens on a 3-year cycle. Lee has also been working with the local Parish Council on the maintenance and redirection of public footpaths that cross the school's grounds. His work is nothing if not varied. "I keep reminding my colleagues to take a step back every so often and think how lucky we are to work in such an environment. It's important that we try and avoid having blinkered vision of things." "We always have to imagine what everyone else sees here. That certainly helps us focus on the job and get things right."